I came to Akademie Schloss Solitude in the summer of 2015 as a fellow in the field of architecture. I wanted to do some historiography about early solar and eco-architecture in Stuttgart and the surrounding region. One aim I had in mind was to broaden the history of recent German architecture, the history of ecological, reflexive (post)modern developments in South Germany, along with the social conditions that framed them and their impact. At the same time, I wanted to complement European environmental history with some research on alternative architecture, its genesis, conception, design, implementation, and reception by the general public. »Green« architects had designed and implemented a number of projects in Baden-Württemberg. The reasons for that relate to social transformations: South Germany was a major source of inspiration for the (formerly West) German green, peace, and anti-nuclear movements, which emerged in the mid-1970s from protests against the nuclear power station at Wyhl by the Kaiserstuhl. The West German Green Party was founded in Karlsruhe in early 1980. Besides, the construction trade and a culture of small and medium-sized enterprise in this little state provided considerable expertise, specifically in construction with timber and glass. Finally, a political will had crystallized here, taking root in towns and rural parishes, at the state and federal levels, and in the European Community. But what did these projects achieve and signify in the longer term? How have they been perceived – back then and also today – by the professional community and by the general public? We know now that Germany as a country is widely celebrated, even in critical contributions to the debate about climate change and globalization, for its role as an international pioneer of energy transition. So far, however, research has neglected the role played by the built environment in relation to the consumption of resources and energy in the Anthropocene. In terms of alternative approaches and lost opportunities, I was particularly interested in developments in architecture in the 1980s, all of which could be regarded as embryonic forms of the ecological transition or of green technologies. In the run-up to this, I had come across a fairly extensive blog about early eco-developments in Baden-Württemberg:  it mentioned, among others, the eco-village »Schafbrühl« (1984–86, Eble and Sambeth) and the biosolar terraced houses (1986, architect: LogID / Dieter Schempp) in Tübingen, as well as the estate »Am Lindenwäldle« (1985–1987, architect: Rolf Disch) in Freiburg im Breisgau, a pioneering project in solar, energy-saving construction. This development, designed for an architecture competition for passive solar houses initiated by the European Commission  (1982) and implemented as social housing, received EC funding and metrological support, and yet it hardly features in architectural and urban histories. During my six-month studio fellowship, I delved primarily into the sociopolitical dimensions to architecture and planning that accompanied the emergence of ecological and solar construction in Baden-Württemberg. How did various protagonists, not only in local, regional, and federal politics, but also other participants and stakeholders, influence the use of renewable energies and natural materials in housing construction? What projects were supported and implemented, and to what extent did that induce change in the discipline and the profession? Who experimented with green technologies, to what extent did the architecture symbolize a new environmental awareness, what part was played by universities and public-private research facilities like the Fraunhofer Society at its sites in Stuttgart, Karlsruhe, and Freiburg? Do examples from architectural and urban history really allow us to claim that Germany has achieved its energy transition? During my six-month studio fellowship, I delved primarily into the sociopolitical dimensions to architecture and planning that accompanied the emergence of ecological and solar construction in Baden-Württemberg. Researching archives, trawling sources and literature, reading historical documents, analyzing professional and popular media, taking trips to see buildings, and concrete investigation with the aid of architectural photographs and local encounters produced a differentiated picture, leading ultimately to a selection of several paradigmatic projects, which I presented with texts and pictures at two exhibitions. My first excursion with the architectural theoretician Stephan Trüby from Stuttgart and his doctoral students at the Technical University in Munich took me to the Institut für Leichtbau, Konstruktion und Entwerfen (ILEK, formerly IL, specializing in lightweight structures), where I had already conducted some archive research in autumn 2012, and then to the »Bauhäusle« (1981–83, architects: Peter Hübner and Peter Sulzer) on the Stuttgart University campus. The name is a tongue-in-cheek Swabian diminutive, a dig at the glorious Bauhaus (in Stuttgart classical modernism is represented by the Weissenhof Estate, built for the Werkbund exhibition of 1927), and it refers to a student hostel which first-year architecture students on the building design course constructed themselves in the early 1980s under the guidance of Hübner and Sulzer. There I learned that the threat of demolition loomed again, as the timber structure was rotting, but that total rehabilitation was to be funded by a six-digit amount. Again and again, it was brought home to me how important it is to talk to people and activate local knowledge, local criticism, and local struggles. Without the comments of people on site, I am unlikely to have come across other eco- and social architecture projects in and around Stuttgart. They probably attracted attention when they were built, but have not entered the annals of architecture, or only to a limited degree. This is how, for example, I discovered a second ecologically oriented student hostel in the region on the Hohenheim University campus outside Stuttgart (1983–85, architect: Horst Schmitges), which was likewise supposed to be designed and built by students but was ultimately implemented in the form of earth mound houses with grass roofs by a building entrepreneur from Düsseldorf with the aid of investors. Today the student hostel at Hohenheim ranks as a model project due to its unique building ecology, and it is the starting point for a city tour of Stuttgart on the theme of urban climate. Again and again, it was brought home to me how important it is to talk to people and activate local knowledge, local criticism, and local struggles. My contribution for the group exhibition ROEMER XVIII, the Academy’s off-space in the center of Stuttgart in November 2015, was supposed to show where my project had got to so far. To that end, I studied and visited various buildings in Stuttgart’s catchment area, took pictures of them and portrayed them in an accompanying text. Apart from places already mentioned – the IL, the Bauhäusle, and the student hostel at Hohenheim – I included: the postmodern »Züblin-Haus,« the headquarters of the construction company Züblin AG (1983–85, architect: Gottfried Böhm with Jörg Schlaich) in Vaihingen/Möhringen, with a central winter garden linking two office wings; the earth mound houses (architect: Jürgen Carstens) for Archy Nova (director: Gerd Hansen), the alternative project developer devoted to holistic building, founded in Stuttgart in 1984; the »Wohnen 2000« development, which was experimental housing built near the station Nordbahnhof as part of the International Horticultural Exhibition (IGA Stuttgart) in 1993, exhibited in partnership with the concrete industry’s information center Beton; and the research project B10 on the Weissenhof Estate, apparently the first active house ever designed by Werner Sobek – who currently manages the ILEK and cofounded the Society for Sustainable Building – which is based on a modernistic, prefabricated housing model from a small family company and demonstrates state-of-the-art technology. While I was researching and processing my findings, I came across many of the prototypes and demo projects, some of them premières, which had been seen as pointing the way to the future, all of them milestones of ecological and solar architecture in South Germany: anti-monumental, adaptable, and flexible lightweight constructions, sustainable timber structures, winter gardens, earth mound houses, prefabs, et cetera. Consequently, the architecture projects on display illustrated passive or active solar conversion, the integration of the built environment into natural cycles, the use of natural materials and trials of new methods of thermal insulation, but also conflicting processes, such as topping up urban density versus growing suburbanization in Stuttgart, the home of the motorized automobile, or strategies like architectural greenwashing, which rely completely on technological progress without making thoughtful use of resources. For the major group show in January 2016, and to conclude my studio fellowship at Akademie Schloss Solitude, I delved deeper into the research and compiled an archive exhibition. My aim was to highlight a few critical issues to reveal lines of argument for and against different ecological and solar building projects, the underlying processes and structures, stakeholders, types, interests, cooperation, and so forth. In researching for the exhibition, which this time addressed a broader public in Stuttgart, art lovers, and visitors to Schloss Solitude, I did not apply the classical concept of the archive, but an extended one coined by Michel Foucault. The poststructuralist, post-Marxist philosopher talked about archives, which he defined »as general system of the formation and transformation of statements«, generated on the basis of a new kind of historiography in order to work out a specific apparatus. For Foucault, an apparatus (or dispositif) was a »heterogeneous ensemble consisting of discourses, institutions, architectural forms, regulatory decisions, laws, administrative measures, scientific statements, philosophical, moral, and philanthropic propositions – in short, the said as much as the unsaid.« In my own research, this constructivist concept of the archive and the apparatus could embrace all those ecological, but also social, technological, and economic initiatives which underpin the development of eco- and solar architectures in Baden-Württemberg. They are linked in complex ways with ethical, legal, and economic conditions and options and they cast light on social and personal causes and consequences. What Happened to Eco- and Solar Architecture in Baden-Württemberg? To select and compile the exhibits, I worked with very different documents and media from public and private archives which were available to me locally: the Stuttgart City Archives, the State Archives of Baden-Württemberg, the archives of the Stuttgarter Zeitung and the Stuttgarter Nachrichten, and the mediatheque of broadcaster SWR. For a better understanding of eco- and solar architectures, the focus of the material shifted to history and cultural history, which was certainly also of political significance, and which permits meta-theoretical reflection and an analysis of power. One aspect I highlighted were stories about the origins of architecture defined as sustainable, and I fed this into the title of the exhibition: What Happened to Eco- and Solar Architecture in Baden-Württemberg? There were three components to the show: a timeline with press clippings, a screen with television reports, and showcases with specialist literature. The materials related to several different projects around the ecologization of architecture and society in Baden-Württemberg, and in some cases the same examples were presented and treated differently by different media. 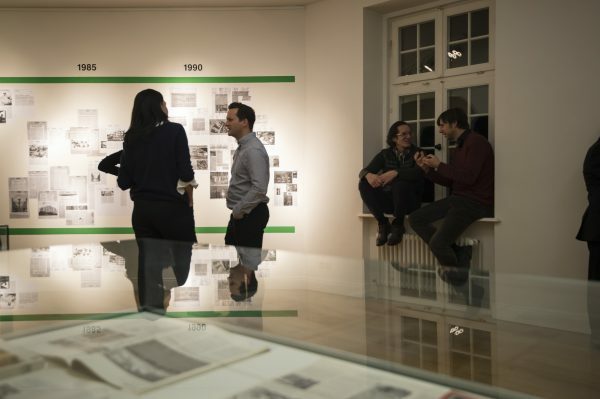 As the central component of the exhibition, the timeline showed developments in architecture and urban planning in the period from 1975 to 1995, papering the wall with cuttings from the local and regional press. This method enabled me to present micro-chronologies of the various projects (Otto’s notion of nature and environment in his work on lightweight construction at the IL, the Bauhäusle and Hohenheim student hostels, the »Züblin-Haus,« the development »Am Lindenwäldle,« and »Wohnen 2000« at IGA 93), which overlapped to some degree, as well as the quality and above all quantity of reporting. The nature and scale of the information were good indicators of the regional, national, and sometimes international significance of these projects and of the social, political, and economic aspects as specific historical context. In the case of the reporting on the two student hostel projects, for example, connections can be made with the housing crisis in urban Baden-Württemberg at the time. Students in Freiburg and Tübingen were especially hard hit, and that led to a number of squats at the end of the 1970s. In Stuttgart, the situation was not really defused by the Bauhäusle, with its 27 rooms. The Bauhäusle had been commissioned by the student union, implemented on a basis of self-help and self-construction, and fed by donations of materials. Conservatories, glass fronts, and masonry (for one unit a Trombe wall) had been placed erratically in front to soak up solar energy. The university provided the land, and the construction costs of DM 800,000 were offset by a grant to the tune of DM 560,000. Cynically one might also say that, although the shortage of student housing was acknowledged by involving those affected and making their plight visible, the conditions in which this occurred resulted in the exploitation of cheap labor (about 100 students put in approximately 50,000 hours of work between 1981 and 1983). In Hohenheim in early 1981, a group of Agricultural Science students planned to construct a building from demolition rubble, adopting a participatory approach and with the support of the Stuttgart architects Gottfried Bonzio and Rolf Schneider, but this was ultimately never implemented. The hostel, with rooms for 158 students, cost DM 7.8 million and was built after 1983 with state and federal grants, while the Swabian general contractor used exclusively Polish labor, provoking criticism and condemnation among the local population. The press coverage suggests that, here again, the ultimate concern was to keep construction costs low. In this second case, the economics caused more of a stir than the ecological and participatory aspects. In 1983 the construction company Züblin was planning a showpiece new build made of prefabricated concrete (architect: Gottfried Böhm, who in 1986 became the first German architect to win the prestigious Pritzker Prize). According to articles in the business pages of the Stuttgarter Nachrichten and the Stuttgarter Zeitung, this was not occasioned by merging the headquarters with other departments. Rather, the venture was linked to the volatile situation in the building sector, with construction slack at home and a threat of financial losses, especially in the Middle East due to the first Gulf War. When the contract was awarded in 1983, the company was engaged in restructuring, which included setting up subsidiaries in Malaysia and entering new fields of operation such as environment protection. So to begin with, Züblin’s new office and administration center was a kind of job creation scheme, as orders were not coming in from Iran and Iraq and the head count was being reduced. When it was finished in 1985, the postmodern, ornamental building with its central hall of steel and glass – which had been designed to exude a new urban quality within a suburban setting – became the calling card for this very traditional building company, and it won the architecture prize awarded by the concrete industry. 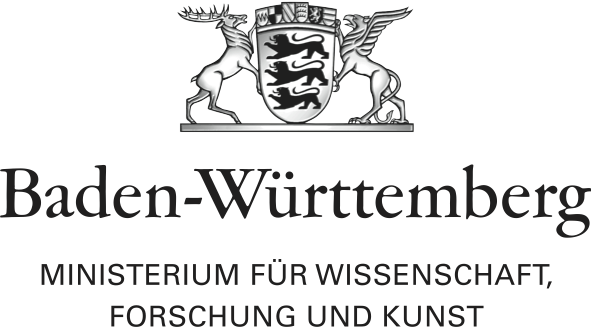 Starting in 1988, the daily press in Stuttgart as well as smaller local newspapers in the region reported in detail on the building exhibition Wohnen 2000, which aimed to demonstrate the »responsible approach to nature in the city« expressed in the IGA motto. Although the development, which included terraced houses and multistory apartments for both rent and purchase, was controversial from the outset, the media were definitely helping to popularize alternative forms of living, new materials, and energy saving in Baden-Württemberg. The coverage – headlined »Ecological Housing« – was initially benevolent. A competition resulted in 13 pilot projects for construction techniques, which were respectful of nature and saved energy, primarily innovative energy strategies in the form of low-energy buildings, although it was stressed that this was done to obtain recognition as a demo project from the German Ministry for Research and Technology. The designs came from architects all over Europe, east and west, and the building was carried out under the aegis of nonprofit housing associations, either municipal or owned by the state of Baden-Württemberg. The ecology, however, was reduced to green spaces and winter gardens. A single dry toilet went on show, by way of a proxy for all other measures. The experimental estate, mentioned for PR effect in the same breath as the historical building exhibitions once hosted by Stuttgart, was severely criticized when the IGA opened in 1993. Not one of the 17 avant-garde homes for sale, from the timber structure to the high-tech house, had been bought, and the 100 rental dwellings built at such great expense were a drop in the ocean, given that Stuttgart lacked 40,000 homes. In particular, the construction costs amounting to DM 65 million (with DM 15.5 million received in grants) were attacked as far too high. For the second exhibition component, I compiled and contrasted television reports on ecological building projects from the regional broadcaster. The coverage of ecological and solar architecture in Baden-Württemberg by Süddeutscher Rundfunk (formerly Südfunk) was partly informative and partly polemical, but it was clear with this medium that the presentation and perception of these projects was defined not only by human but also by financial interests. The Bauhäusle at Stuttgart University – »At once festival and happening, serious study and practical work, but above all social commitment by the many for the few,« said the off-camera voice – was documented in the early 1980s while it was still under construction and honored as a flagship project for Baden-Württemberg with a report lasting almost 30 minutes. The feature examined the process, from the laying of the foundation stone in 1981 until completion in 1983. The bureaucratic hurdles, the permission granted by the building department even though the final plans had not yet been submitted, and the official blessing from the university’s rector were all mentioned. Popular interest focused on the innovative educational approach, the work experience it provided, the individual housing formats and lifestyles encouraged by the design, and the use of semifabricated elements from building trade suppliers. Most of all, I compiled and contrasted various television reports by Südfunk dating from 1993, after the principle of sustainability had been anchored in architecture and urban planning by the United Nations Conference on Environment and Development in Rio de Janeiro in 1992, but here the ecological communication was different. There was an initially benevolent and explanatory tone to the report on the SolArc earth mounds, one of the ecological pilot developments in Donaueschingen, which was built with funding from the state of Baden-Württemberg in the residential quarter »Auf der Steig« (1993). Viewers were told not only about the low-energy construction technique, given that this fairly unusual type of building had just achieved market maturity and entered series production as a prefab, but also about the use of natural building materials such as coconut insulation panels, a combined heat and power generator and a dry toilet – those last two heating and plumbing systems having derived from the alternative milieu. In the run-up to IGA 1993 and again when it finished, Südfunk had broadcast two detailed if highly critical reports, with original commentary from architects and residents, the Stuttgart deputy major in charge of building and a Green politician on the subject of Wohnen 2000, although in both cases there had been disparaging and condescending overtones to both the announcer’s introduction and the commentary in the program. The criticism especially latched onto the aspects in which the architects had been especially keen to innovate and where the social experiment had been evident: flexible floor plans and unusual shapes. In the end, the city of Stuttgart reaped mockery and contempt for Wohnen 2000, not only because the urban design was excessively dense and many architectural mistakes were made, but primarily because the price tags and the prices per square meter for both the houses for sale and the apartments for rental were outrageously expensive. Allegedly public monies had been used to subsidize »urban homes for yuppies.« The main thrust of the scathing reviews on regional television was that experimental housing like this was neither social nor ecological. On the other hand, Südfunk broadcast an extensive report in 1993, including an interview about Rolf Disch, the solar architect from Freiburg, who had become a regional celebrity through his entrepreneurial spirit and inventiveness. It described and discussed various projects for optimizing energy consumption. Despite noticeable prejudice and hostility on the part of the presenter, Disch was able to argue the need for solar construction and to counter criticism of the funding provided by the European Union, the German government and the state of Baden-Württemberg, pointing out the persistently high level of subsidy for coal and nuclear power, which created huge externalized costs would result in follow-on costs – both environmental and social – that so far featured on nobody’s bills. The examples portrayed included Disch’s development »Am Lindenwäldle,« composed of low-energy houses with south-facing winter gardens known as the »parrot houses,« an estate in Freiburg built in the 1960s and retrofitted by the Fraunhofer Institute with transparent thermal technology, buildings in Munzingen (Freiburg) that were self-sufficient in energy terms, and the largest solar power plant to date, consisting of solar cells on the roof of a new factory for Hansgrohe in Offenburg. Disch’s futurist »Heliotrope,« a surplus-energy house in Merzhausen (Freiburg) that turns toward the sun and produces more energy than it consumes, was above all accused of lacking residential quality and aesthetic appeal. The main thrust of the scathing reviews on regional television was that experimental housing like this was neither social nor ecological. A third component in the exhibition consisted of a representative cross-section of architectural publications, monographs, and journals found in secondhand bookshops, which I displayed as objects under glass in vitrines. Taken as a whole, they can be seen as a cultural memory of how architecture went ecological in South Germany, but they also influenced the development of architectural positions and projects all over Germany, Austria, and Switzerland. During the period in question, the various German-language magazines devoted to architecture and building (Bauwelt, Deutsche Bauzeitung, Detail, Glasforum) presented individual examples of energy-conscious and solar construction in detail, sometimes with critical discussion. Featuring prominently were Frei Otto’s private home and studio, Rolf Disch’s estate »Am Lindenwälde,« but also the student hostels Bauhäusle and Hohenheim; ARCH+ focused in particular on Gernot Minke’s approach to building ecology. The Züblin building by Gottfried Böhm attracted the most attention, with no fewer than three reviews in an issue of the Swiss journal Werk, Bauen und Wohnen, one of which was by Manfred Sack, one of the best-known critics of architecture at the time – although ecological aspects were treated as secondary. Apart from the architectural magazines, I showed monographs on architecture with an ecological focus, such as the book Lernen durch Selberbauen by Peter Hübner and Peter Sulzer. For them, this was a contribution to training for architects geared to practice and sustainability. Then there was the anthology Solar Architecture in Europe published by the European Commission, which described the EU-funded passive solar houses of the 1980s, and a corporate publication by Züblin AG about their showpiece administrative building. It highlighted not only Gottfried Böhm and his romantic version of Brutalism, but also the glass hall and the case it makes for saving energy. The publication now has antique value and I had to ask several times before they sent it to me, after I had organized a trip to the Züblin campus for other fellows of the Akademie, where the later buildings – all certified sustainable – were also required viewing. It highlighted not only Gottfried Böhm and his romantic version of Brutalism, but also the glass hall and the case it makes for saving energy. Another antique gem I was able to purchase was a leaflet entitled Werk, Stadt, Wohnen (edited by Amber Sayah, who also wrote reviews for the Stuttgarter Zeitung). As a companion to Wohnen 2000, it had once served as an architectural guide to alternative approaches to urban development in Stuttgart. Nowadays, for all the PR hype at the time reflected in publications like this, Wohnen 2000 seems to have fallen into oblivion – like so many specimens of ecological and solar architecture. The publications illustrate something described by the German social and systems theoretician Niklas Luhmann in 1986 in his work Ecological Communication. In the differentiation, representation, and societal self-observation that are hallmarks of ecological thought and action, he recognized a crisis awareness and fear of the future that are always part of the picture. As the survey of literature revealed, despite a focus on how value is constructed in urban and building economics, this way of thinking also infected the discipline and profession of architecture during that period. The work I did during my fellowship at Akademie Schloss Solitude is part of a broader research and publication project devoted to environmental history in architecture, and specifically the antecedents of the sustainability debate, with a particular focus on German-speaking countries. Through my research and exhibitions on Baden-Württemberg, I was likewise able to show that during the 1980s there was an enhanced public awareness and recognition of ecology in architecture and urban planning and that numerous projects around ecological and solar building were carried out in South Germany. What was so innovative about developments like »Am Lindenwäldle,« for example, was not simply that it introduced passive solar techniques into social housing construction long before renewable energies were being subsidized there through the 1000 Roofs scheme launched in 1990. They also represented a disciplining of individuals through eco-governmental strategies as part of »green« housing and urban development policies which would ultimately lead to the flagship developments of the 1990s such as Rieselfeld and Vauban. My interest is not only in the emergence of ecological ideas and action in architecture and its related disciplines, but also in how ecology is treated in science, politics, and legislation. For all the paradoxes associated with environmental, social, economic, and cultural sustainability, there is still an important role to be played today by ecological and solar building, tapping into solar energy and integrating it into architecture, decentralizing supply and waste systems (combined heat and power, use of graywater, composting and recycling), growing plants on roofs and façades and not sealing surfaces, making use of natural building and insulation materials which are not damaging to health, but also participatory strategies such as cooperative housing and funding. My interest is not only in the emergence of ecological ideas and action in architecture and its related disciplines, but also in how ecology is treated in science, politics, and legislation. In South Germany in particular, very different stakeholders were able to make their mark in the 1980s due to new room for manoeuvre and new instruments: apart from individuals, be they architects, engineers, professors, students, project developers, or entrepreneurs, there were collective operators too, such as towns and local councils. Apart from the local state and the federal government, the European Union entered the stage as a new transnational agent and source of funding, and as a consequence energy production and supply were no longer predicated on a specific territory. At this year’s architectural biennial in Venice, where social commitment was the headline theme, the Stuttgart practices Werner Sobek and Transsolar were exhibited specifically on account of their environmental commitment, but one major insight that I was able to derive from my contextual historiography was that those early, often visionary experiments, pilots and demo projects involving ecological and solar architecture in and around Stuttgart were planned, commissioned, implemented, and managed by very different agents. One consequence of this was that individual projects had an impact on the formation of alternative lifestyles and generated new incentives and business models in the context of an ecological transition in economics and politics. Ultimately, however, this cannot disguise the fact that the projects were few in number, and that given the major significance of the vehicle manufacturing industry in the region their impact on urban design in Baden-Württemberg was very small. Translated by Katherine Vanovitch (German to English). Jump Up Reinhold [ed. ]: »Aufbruch, Protest und Provokation. Die bewegten 70er und 80er Jahre in Baden-Württemberg«, Aalen 2013. Jump Up Kim Förster, with Cornelia Escher: »I was Dr. Tent. Frei Otto on Adaptability, Ecology and Economy in Architecture,« in: ARCH+ 211/212, June 2013, pp. 72–80. Jump Up After the Club of Rome published Limits to Growth , provoking a rethink with its somber scenarios of the future, the energy crisis in 1973 triggered a global shift in science, politics, and economics, which also embraced West Germany. It led to the creation of a Federal Environment Agency in Berlin in 1974, but also to laws such as the Thermal Insulation Ordinance of 1977 and increased funding for the new Ministry of Research and Technology, established in 1972. Jump Up www.oekosiedlungen.de/baden-wuerttemberg [accessed September 10, 2016]. Jump Up European Commission [ed. ]: Passive use of solar energy in 18 terrace houses »Am Lindenwäldle« Freiburg im Breisgau 1985–1987, http://bookshop.europa.eu/en/passive-use-of-solar-energy-in-18-terrace-houses-am-lindenwaeldle-freiburg-im-breisgau-1985-1987-pbCDNA11652 [accessed September 10, 2016]. Jump Up www.bauhaeusle.de/live.html [accessed September 10, 2016]. Jump Up https://vimeo.com/27656617 [accessed September 10, 2016]. Jump Up ana Schneider and Jeremy Till saw the Bauhäusle as example of spatial agency, see: www.spatialagency.net/database/bauhausle [accessed September 10, 2016]. Jump Up In their classic Learning from Las Vegas , Robert Venturi, Denise Scott Brown,and Steven Izenour distinguish between »duck« and »decorated shed« as the two dominant postmodernist typologies. My contribution to the exhibition was later published on Schlosspost, the Academy blog, under the title »Eco Life Styles Stuttgart,« http://schloss-post.com/eco-life-styles-stuttgart [accessed September 10, 2016]. Jump Up Michel Foucault: The Archaeology of Knowledge, New York 1969/1982. Jump Up Niklas Luhmann: Ecological Communication, Chicago 1986/1989. Kim Förster is an architectural historian, researcher, writer and teacher. Since 2016, he is Associate Director of Research at the Canadian Centre for Architecture in Montréal. He holds a PhD in architecture of ETH Zurich, where he most recently taught a methods seminar in the doctoral program in history and theory of architecture at the Institute gta. His academic background is in English and American Studies, Geography, and Pedagogy, which he studied at the University of Münster, Humboldt University in Berlin, and University of Toronto. For his research, he received major grants from the Swiss National Science Foundation and the Graham Foundation. His first monograph, an institutional critique and cultural analysis of the Institute for Architecture and Urban Studies (New York, 1967-1985) is forthcoming. He has published in various architectural magazines and journals, as co-editor of An Architektur, member of common room, and currently guest editor of Candide.